+6 March 16th, 2003: Finally, a real break in the frigid weather! Yesterday got up to +6° and I doubt if it froze at all Friday night. I must confess that it felt good, especially as the snow sliding off the roof missed me every time. 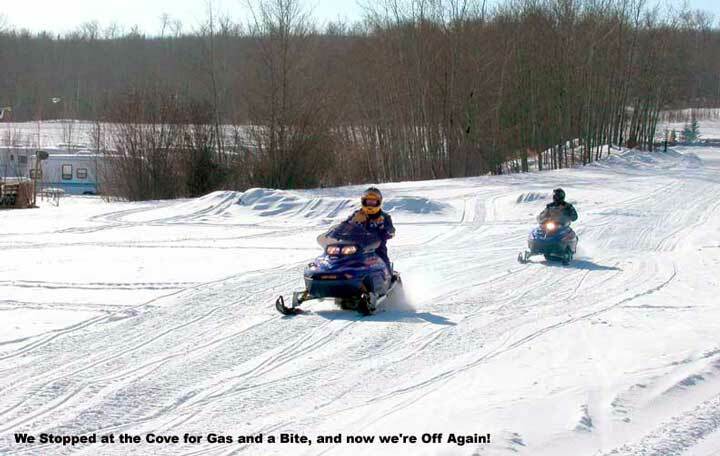 around The snowmobilers will be happy; it shouldn’t be warm enough to give them overheating problems with their machines, nor enough to melt the snow down to bare dirt. There were all kinds of them at the Cove yesterday and lots buzzing around today. ashes We went to Porcupine Plain yesterday, mostly to get the paper but also to check out the Porcupine Hotel, which burned to the ground last Monday. There is nothing left but ashes and rubble. 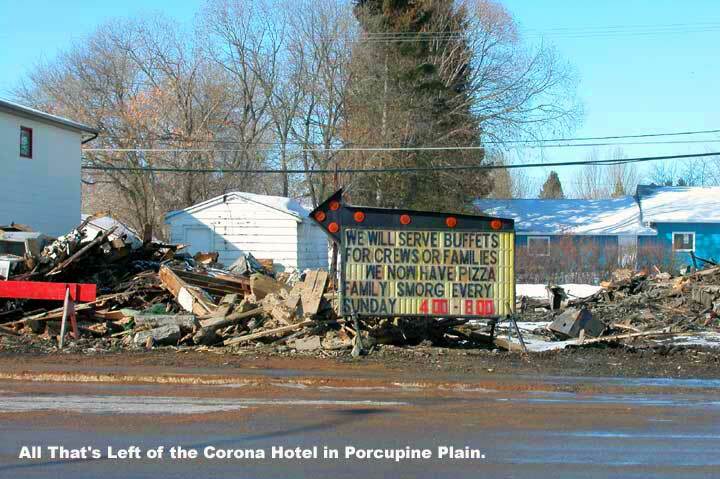 It must have been a hot one, but the Corona Café, right next door to the south, shows no signs at all of being scorched. There is a little storage shed at the back of the lot, too, that appears undamaged. Lots of credit to the fire fighters! miss Just a few years ago, the two store buildings right north of the hotel burned, and that time the hotel suffered some heat damage up high on its north wall. I understand there was actually some fire in one of the rooms. spaces Rumors are that the owner plans to rebuild, and we hope he does - Porcupine doesn’t need any more empty spaces on its main street! debry We mentioned earlier that the Bjorkdale Bandits were not holding a fishing tournament here this year. However, the Kelvington Legion will be, on Sunday, March 23rd, from 1 to 3 PM. They had originally planned it for Round Lake, but I’m told the water there is just about out of oxygen, so it’s unlikely any fish survived. Round Lake is much smaller than Greenwater, and not very deep. 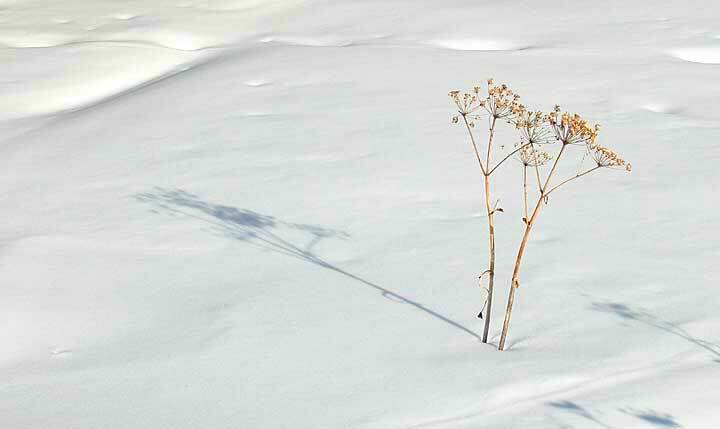 I gather the depth of snow blocks the sunlight, so the weeds can’t produce oxygen. slow I went for a ski out onto the lake, and counted about fifteen ice-fishing huts. There are likely some more on the northern part of the lake too, around the point. Mel Tkachuk tells me the fishing has been very slow lately. He also said that fishing was good on Round Lake last fall, lots of pickerel in sizes small, medium and large. It’s unfortunate they won’t survive the winter. potluck On March 21st, there is going to be a benefit supper for Hunter Woulfe, Lana and Derek’s wee one, who suffers from cystic fibrosis. It will be at the Greenwater Hall and will be a potluck supper and social, starting about 5:30 pm. The Greenwater potluck suppers are always a great time! May 17th As of last Friday, Doreen and I have been married fifty years - that’s legal; churched and everything! Cathy and Ted Hardman, my sister and brother-in-law, came down and spent the weekend with us and we had a good time, playing bridge and visiting. On May seventeenth, our kids are having a surprise come-and-go for us at the Park Hall, so make a note on your calendar. That should be fun!